Kuala Lipis or Lipis which is commonly known, was a gold mining centre long before the British arrived in 1887. In fact there are still some gold mines operating there but on a smaller scale. It was the British administrative centre and also the capital state of Pahang from June 1898. When Kuala Lipis was first chosen by the British to be the administrative capital of Pahang, it could only be reached by two or more days of hard paddling by river. Grand colonial buildings date from the British period. The Sungei Jelai River and the Sungei Lipis joins up with the mighty Pahang River at Kuala Tembeling, which then flows down to the South China Sea at Pekan, the royal capital of Pahang. The rivers have also shaped the town by breaking their banks periodically and causing destructive flood damage to the lower lying parts of town, which could explain why many of the surviving heritage buildings are sited on hilltops. Fortunately there are enough of these old buildings remaining to give us a flavour of how life must have been in days gone by. Kuala Lipis became a major trading town when the railway was first introduced in 1924. The town grew and prospered with the coming of the railway. It was blessed with colonial buildings and structures from the beginning of the twentieth century, such as the imposing District Offices and the Clifford School, and the Pahang Club were built. The hilltop house of the British Resident is now a hotel and museum. 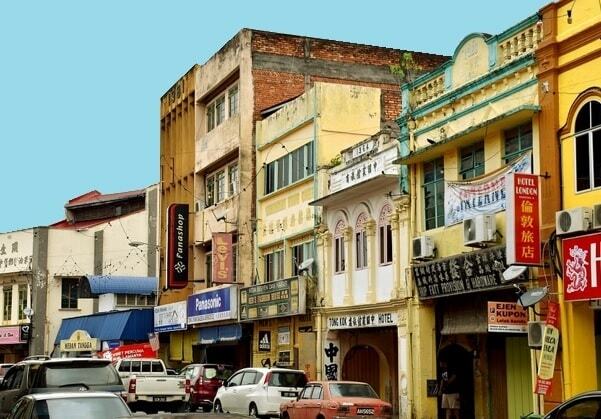 Kuala Lipis boomed as a town, but its subsequent decline was due to the fall in production of gold and tin from the interiors and also due to the capital of Pahang being shifted to Kuantan in 1955. Kuala Lipis became a dead town, but new roads and bridges were built to branch Kuala Lipis out to another towns. Besides that a new part of the town is opened to extend the commercial district. It is a good progress and sign. Kuala Lipis is no longer a dead end or dead town. The town has now ca. 25.000 inhabitants. 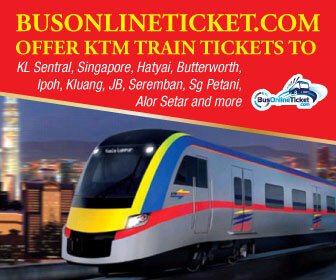 Kuala Lipis is the last major town for northbound travelers on the Gemas-Kelantan railway. In Kuala Lipis live Malays, Chinese, Indians and Orang Asli (aborigine). Most people here earn their livings as rubber tappers (produced latex as raw material for making plastic and tyre), oil palm estate workers and farmers. The people in Kuala Lipis live a simple live, night life is not popular here. The crime rate is low and it�s quite safe to walk alone day and night. The ties between neighbours are very closed and strong. Most people have a good relation with their neighbours. In this small town is locking your front door and gate not necessary. The district of Kuala Lipis consist of neighbourhood villages and towns like Benta, Penjom, Padang Tengku, Jerokoh and Merapoh. Kuala Lipis is best known as a launching pad for visits to the nearby Kenong Rimba State Park, but it also draws people for its lovely colonial-era architecture. When you walk around the main streets, you'll see the shops are dating back to 1900. Some of the shops have been turned into budget hotels. 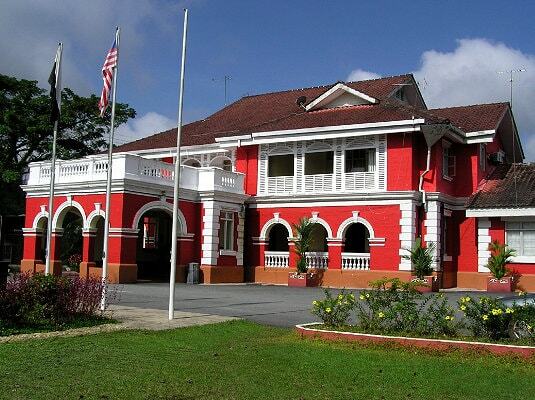 The Kuala Lipis post office was built in 1910. It's located on the main road and it has the famous ZERO milestone just in front. At the end of the Jelai Road is the former state mosque. The former state mosque was built in 1888 and known as the Madrasatul Fridaus and it's made mainly from wood. This mosque was built by a Yemeni merchant named Habib Hassan who traded in gaharu, a fragrant wood which is a highly prized item in the Middle East. 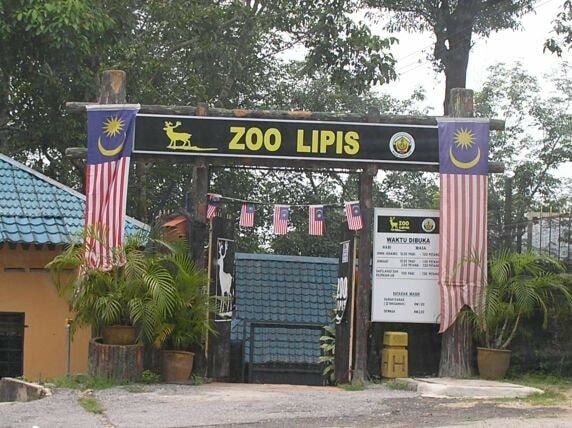 The Lipis zoo is home to about 42 animal species, including alligators, deer, birds, lizards and a sun bear. You can make a stopover with the kids for a fun and educational tour. Kenong Rimba Park is about 10 km away. It is a forest reserve, accessible by train or boat. It is a good place for trekking and caving. From the town, you can take a bus or cab for 30 minutes journey to Tanjung Kiara Jetty. From here you can either walk (trekking) for about one and half-hour to base camp or take a 4-wheel drive for only 20 minutes. Malaysian pop diva Siti Nurhaliza was also born here. Her family still lives in Kuala Lipis and the house she built for them became the talk of town as it was rumoured to cost millions of ringgit. It has now become a tourist attraction. The town council even provided directions to the house on a signboard and made parking space for tour buses available near the house. During her wedding in 2007, her wedding reception for friends and fans here was made an official function for the whole town by the council. The Prime Minister of Malaysia, Najib Tun Razak was born in Kuala Lipis. On 28 December 2014 Najib Tun Razak visited the flood evacuation centre at the Sekolah Kebangsaan Clifford amidst flood-affected areas. Tun Muhammad Ghazali bin Shafie (22 March 1922 � 24 January 2010) was a Malaysian politician. He served as Foreign Minister and Home Minister during his career.